What's the next best thing to wearing your favorite guitar? Wearing this zZounds T-shirt. 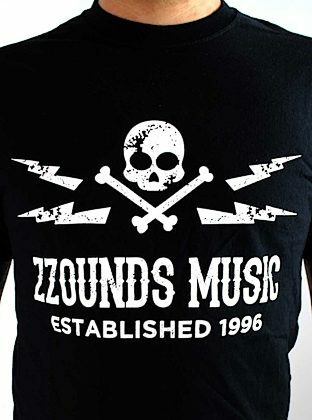 With a wicked design evoking a weathered-looking pirate flag, this limited-run T-shirt proudly proclaims, "zZounds Music, Established 1996" to mark our 20th anniversary. These G800 Gildan DryBlend T-shirts are made with 50% preshrunk cotton and 50% polyester fabric, meshing the softness and breathability of cotton with the durability and shrink-resistance of polyester. The seamless collar, taped shoulder seams, and heat-transfer-printed label (no scratchy tag!) 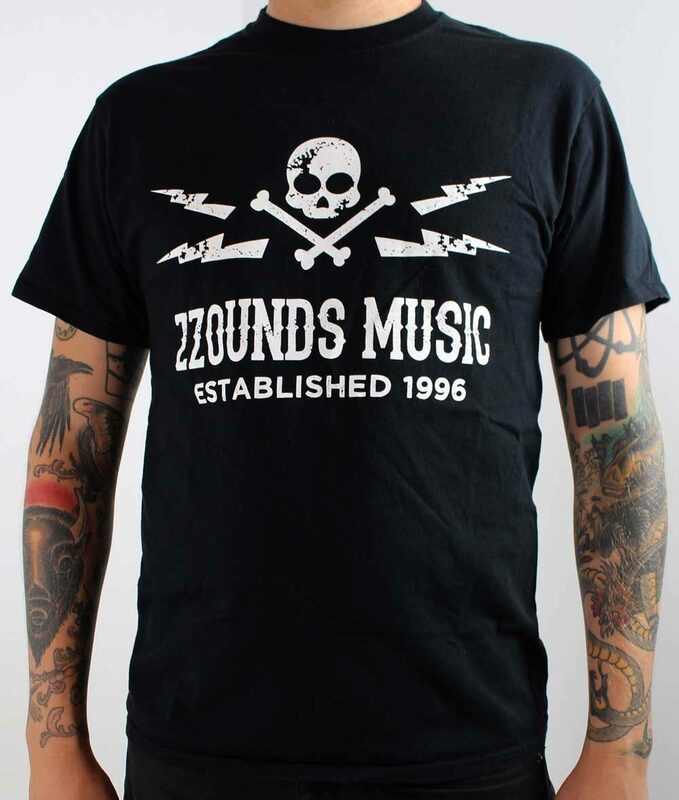 make for a zZounds 20th-Anniversary T-shirt so cool and comfortable that you'll want to wear it for another 20 years. - Limited-run zZounds T-shirt -- only 250 printed! zZounds is an authorized dealer of zZounds products.